We're often focused on the wrong things. Sometimes, we don't even know what we should actually be focused on. Is it the result ? Is it the Journey ? Take a listen to the podcast, and all will be revealed ! Marketing isn’t the same, old traditional methods can no longer be deemed effective. To get a grip on your business and it's lead generation, you need to adapt with the times. Business Expert Daniel Latto explains how the Market place has changed over the last 10 years and how it continues to evolve. We've just released our Brand New Property & Business Coaching Package for 2017. So we thought we would announce it via our podcast and delve into what's included in the package. It's pretty awesome in fact and rammed full of value. It still amazes me as we move from 2016 and into 2017, that it's obvious that Social Media is here to stay. It's one of the biggest ways in which we've built our business in 2016 and will be even bigger in 2017. That said, there are still so many business owners not using it properly. They're not marketing enough, and when they do eventually market, they're totally inconsistent which then produces the wrong message. In this podcast I talk about the different tiers of social media production and why it's usually best to outsource this so you can focus on bigger things. I’ve been asked for this quite a bit – so here it is for you ! The art of hitting two birds with one stone if ever I've seen one, video marketing-wise. Facebook live is a great way to express and inform a vast of viewers (and potential costumers). However, not everyone has access or wants to access the aforementioned social media website because there's the whole formality of making an account and signing up. What better way to preserve the information and the video than upload it to another more accessible social media platform - Youtube. 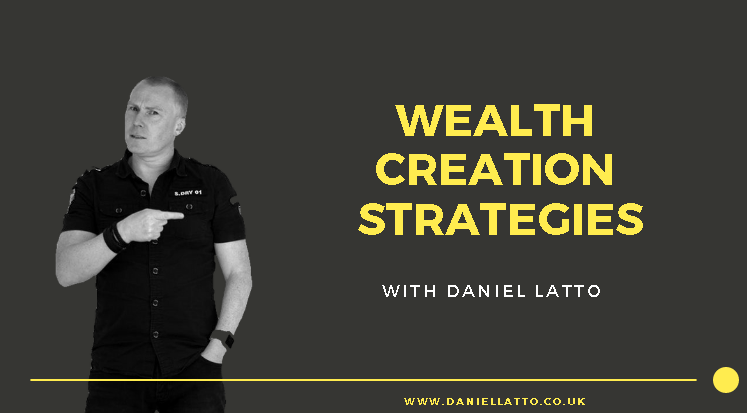 In this short podcast I talk about the biggest #1 thing that you can do right now to start creating wealth. However, be warned, it's totally not what you think it is. I suggest you listen to this podcast at least twice, preferably 3 or 4 times to allow what I'm saying to really sink in. If you've not had much success so far in your business, or you want to create even more success than you already have, then implementing this one wealth tip will change your future. In this video, I just wanted to quash a few ‘misnomers’ about what we actually do as Business Coaches. All Business Coaches are different of course, so I have my own unique take on what it means to be a Top Performing Business Coach. Now I live in Spain, I've had to come up with different ways of making things happen both in my own business, and in the businesses of my clients. Take our marketing for example. We no longer do any public speaking. That's not to say that public speaking isn't a great way of spreading your message and gaining new clients, because, obviously it is. But it's a bit harder when you no longer live in the country that people are based in ! So we had to come up with new ways of both providing coaching services (the delivery of our coaching product to our clients for example), and we've also had to come up with new ways of getting our message out to as many people as possible via video and podcasting. Would you rather spend an hour getting there, an hour on stage, and an hour coming home - or would you prefer to knock out 6 videos in the first 2 hours, and 3 podcasts in the 3rd hour ? That business talk only lasts that one evening - but the video and podcasts will last for years to come ! Business Coach Daniel Latto shows you the shortcuts to getting an Aweber Form into a Wix Website. Daniel Latto was nominated for Small Business Coach of the Year 2013 & 2014 ! Often these things can be quite easy but it's like anything - if you don't know how to do them it can stop your business in it's tracks. That's why most business owners need a business coach, so that they can get given the directions that a business coach already has, and get on their way as quickly as needs be instead of getting stuck on something technical. I've been a Business Coach for over 10 years, and we've seen all sorts from bad time management, to poor mindset, low self esteem and poor self talk, a business thats running away from them and all their time used up. So when you hire a Business Coach, it's pretty easy for us to get stuck into the problem and resolve it quickly as the chances are we've already seen it many times and solved that problem. Obviously as a business owner, you have so many plates to spin, it's impossible to know everything all the time, so with a business coach, it allows you a little bit of slack where we can take on some of the issues you have and solve them for you. Business Coaching - one of the best investments you'll make all year ! People want to know how good our training is. So if you want your Daniel Latto review - just watch the videos ! Business Coaching and Training Ltd presents our one day Business Growth Intensive Training in Leeds. This one day of Business Training is designed to help you move your business onto the next level to increase your income, improve your lifestyle and work less by being more organised, more focused and more relaxed about what needs to be done to grow your business. Replay Podcast 84 – The #1 Reason People Fail. P.S. It’s Not Money, Strategy or Education! Why does success take ? It's not money, it's not strategy, it's not knowledge. It's attitude. 100% all the way. Your level commitment level will determine your outcome. I see it time and time again, where people aren't willing to make the commitment they will continue to fail. What is the Business Growth Intensive Training ? Business Growth Intensive – One day Training and Coaching Event on YOUR Business – to take you onto the next level of Business Growth and Financial Freedom. 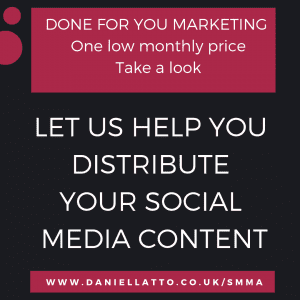 As business owners its often difficult to know what to best spend your time on. But really, there are only 3 areas of business. 3. Deliver the product or service. The Business Growth Intensive Training is a one day event thats specifically aimed at attracting your ideal customers. 3. Reading - what articles people are going to read. This one day event is aimed at getting your business firing on all three of these areas so that you can begin to attract more clients who want to buy easily. Rather than having to be constantly chasing people, we much prefer it when people chase us to help them with their business. Thats the power of marketing - and thats what we teach you during the Business Growth Itensive Training Event. Protecting your environment, and specifically your mindspace is vitally important on the way to success, and there are many well intentioned people trying to stop you ! Words and influence can be powerful, sometimes they can be good and help you thrive whilst on the other side of the coin, they can drag you down. That's why you should be careful of who or what you invite into your mindspace, it could make you or break you. In this audio version of my Facebook Live, I discuss how to look at your money matrix and how to use it to get the most amount of money you can. What so these numbers look like, and how can you use them to accelerate your financial freedom. People have always been bombarding or have been bombarded with the thought that in order to live orderly, one must dream practically. And by practically they usually mean, forget your passion and focus on getting a stable 9-5 job. No one really should have to live that way in a bubble. Remember, all great businesses and success that seems unattainable first started as a dream because the person who pursued it dreamed big. We literally live in a crazy world where EVERY SINGLE BIT helps. We call it the tipping point, and it happens with videos, podcasts and the way you look, carry yourself, and yes .. the way you smell. But this isn't about what others think of you. It's about how you think of yourself. And SMELL, believe it or not, is one of those things that can easily change the way you feel. Remember the smell of your partners aftershave or perfume, or the way your newborn baby smells (no, not the nappy side of things, but the smell of your baby). Smell is a powerful thing. It doesn't cost much to take full advantage of this little uplifter ! Crazy podcast, crazy subject - you're welcome ! So last week, Savills predicted that rents would increase by 20% over the next 5 years. It's a good guess. But they're wrong. It's more like 50%. They forgot some basic stuff thats been happening recently. Take a listen and find out why. Why Aren’t You growing – Are You Just Grass Clinging On? In order to get growth, it starts with a thought, and turns in to a goal. How much does the dream cost – have you worked it out yet ? Watch the video to find out what I mean. Property networking events are a great place to meet people and to learn new things. However, after a while there comes a time when you need to 'level up' as you find you're the most successful person in the room. So there are many mistakes that people make, including, but not limited to being too vague about what they do. You've only got so much time each week and so it's imperative that you use it productively to avoid wasting that time. Take a listen to the podcast and find out how you can improve your results through networking.